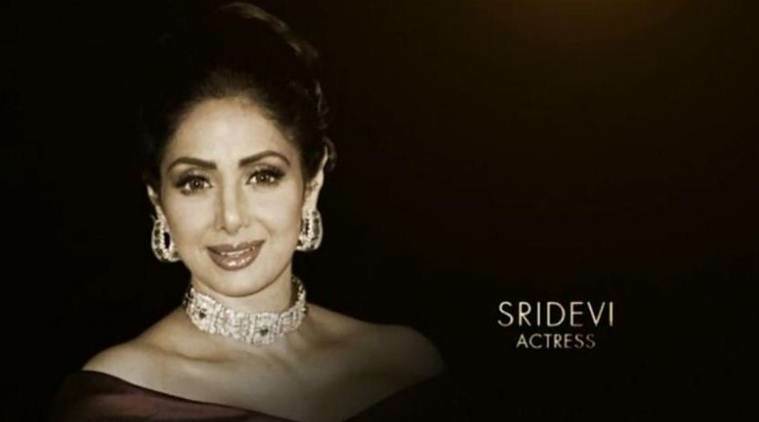 Oscars 2018: Veteran Bollywood Stars Sridevi and Shashi Kapoor get honored at The Academy Awards. Academy Awards are commonly known as the Oscars never failed to amuse us, with each passing year. From designer gowns to brilliant backdrops, Oscars have it all. But this 90th Academy Award show gave a tribute to Indian Legendary stars. Bollywood Industry got a big blow as it lost two brilliant stars, Shashi Kapoor and Sri Devi in the recent times. Tribute to these stars was paid at the 90th Academy Awards which overwhelmed the entire Bollywood Industry. Due to this, we can see the impact these Legendary stars left in the entire world. Bollywood stars like Varun Dhawan, Vidya Balan, Sophie Choudry, Arjun Rampal, Saiyami Kher, expressed their gratitude and happiness on the gesture made at The Oscars during the “In Memorium” Segment for the Bollywood industry. Every year, Oscar Academy includes an In Memoriam section where the Academy pays homage to the members of the film industry in the preceding year. There will be a music performance as the screen on the stage showcase a montage who were lost buy always will be remembered. Pearl Jam fame Eddie Vedder paid a tribute to the industry members that were lost, the Indians all over the world had a goosebumps moment when the Academy showcased the pics of Shashi Kapoor and Sridevi on the screen. Similarly, last year, actor Om Puri was included in the montage by the Academy Awards. And, celebrities all over the world and fans took to Twitter to express their appreciation of this gesture by the Academy Awards. Shashi Kapoor died at the age of 74, due to prolonged illness. He was not a charming actor but also a successful producer. His famous flicks were “Deewar” and “Kabhie Kabhie”. He also acted in various English films and is best known for his character in the movie “Heat and Dust.” He directed some blockbuster movies like “Kalyug” and Amitabh’s “Ajooba.” which was a super hit movie in Bachchan’s career. While Sri Devi died due to accidental drowning at the age of 54. She went to Dubai to attend her nephew Mohit Marwah’s wedding along with husband, Boney, and daughter, Khushi Kapoor. Boney and Khushi returned back to India while Sri Devi stayed in Dubai. Boney went back to surprise his lady love but little did he know they would be the last moments with her.